We are looking for a professional and ambitious Risk Specialist to join our National Risk Engineering Services (NRES) team. The successful candidate will be adept at conducting risk assessments of commercial property risks to identify risks/exposures and sharing this expertise with their underwriting partners. Take your career to the next level by developing your natural ability to see the big picture, think creatively, and challenge the status quo, while working with some of the industry’s leading professionals. Conduct risk evaluation services (property and liability) through site surveys and/or file reviews to identify and evaluate loss exposure, hazards and controls for risks. Provide recommendations for loss prevention/risk control improvements through the analysis of construction, occupancy, protection, exposures, hazards, etc. Perform analysis of fire protection systems including sprinklers for adequacy. Provide consultative risk improvement services to brokers and underwriters. Ensure assignments are completed in a cost-effective, timely and productive manner in accordance with specified service standards. Establish positive relationships with clients and maintain strong relationships with internal staff and external service providers. Conduct training and/or education meetings for clients, brokers and staff. Participate and/or lead various risk engineering projects as may be assigned. A degree or diploma in Engineering or a related field or equivalent experience. Knowledge of NFPA standards and relevant fire and building codes are required. Knowledge of casualty and auto risk evaluation is an asset. A minimum of 10 years experience within the insurance industry is preferable. CIP and/or CRM designation preferred. Strong oral and written communication skills including report writing and presentations. Must be a self–starter, analytical thinker and be able to work independently. Proven ability to establish and maintain effective working relationships. Proven ability to communicate effectively with a strong focus on customer service. Fully bilingual (French/English) in a professional capacity is an asset. Travel in the local geographical area, with travel elsewhere in Canada as required. To learn more about the impact you can make, apply to join Sovereign’s talented team of professionals and stand out from the crowd! *Please state the job title in your email subject line. The Sovereign General Insurance Company is a trusted source of risk solutions for Canadian businesses. Operating in six offices across Canada, Sovereign is a leader in empowered underwriting in commercial and specialty insurance operations. Sovereign is proud to carry an AM Best A- (Excellent) rating and to be recognized once again with Aon Hewitt Gold Level Best Small and Medium Employers in Canada for 2017. 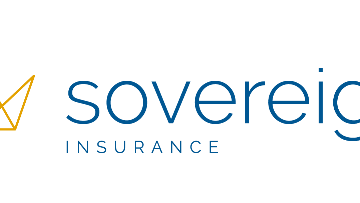 Canadian owned and operated since 1953, Sovereign is a part of The Co‑operators group of companies, a leading Canadian provider of multi-line insurance products with assets of more than $14.5 billion. The Co-operators group of companies is committed to providing a work environment that is inclusive and free of employment barriers and discrimination. Accommodations will be made for qualified applicants with a disability throughout the recruitment process. If you receive a request for an interview and you have a disability which will require an accommodation to support your participation, please consult with the hiring manager as soon as practical so that suitable accommodations can be arranged.